The Leonard Chandelier is part of the Tribeca series of lamps, designed for Danish design group Menu by New York based Søren Rose Studio. Inspired by New York City and the glamour of 1930s designs. 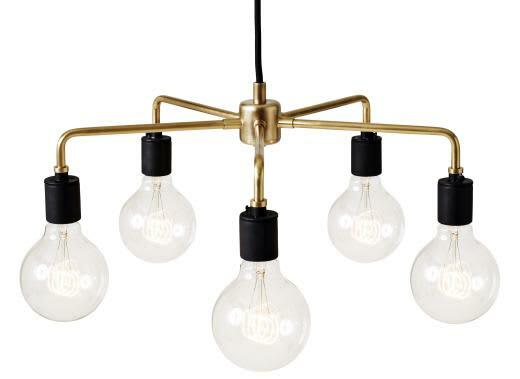 This five-armed chandelier is made from solid brass and takes E27 bulbs. The Scandinavian Shop in Helensburgh, United Kingdom.